As I've already said in Protein Part I, protein bioavailability has much to do with the type and relative amounts of amino acids present in a particular protein molecule. Yes, the body has the ability to convert and make many of the amino acids it needs, but the nine essential amino acids cannot be manufactured by the body and must be supplied by the food we eat. 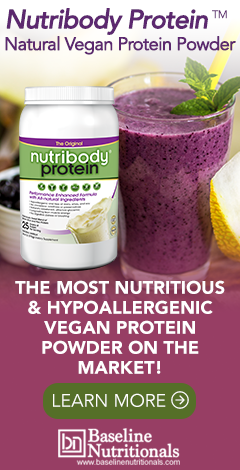 Most animal proteins, by definition, contain all of the essential amino acids in sufficient amounts. The protein of cereals, most beans, and vegetables may contain all the essential amino acids, but the amounts in these plant foods is often less than ideal, particularly the branch chain amino acids. However, this is easy to compensate for, and it is possible to get plant proteins that are extremely concentrated. With that in mind, let's take a look at the primary sources of protein and their pros and cons. On the plus side, it's complete. It contains all the essential amino acids. And it's not particularly allergenic. On the other hand, it's not particularly concentrated -- containing only about 20% usable protein by weight. And it's not particularly nutrient dense, inflicting a significant number of calories on your body along with the protein. It also tends to promote colon cancer -- particularly if grilled at high temperatures. And unless you're buying organic grass fed beef (you absolutely want organic), it also comes complete with high levels of antibiotics, pesticides, hormones, an unhealthy ratio of Omega-6 to Omega-3 fatty acids, and the risk of E. coli contamination -- not to mention high levels of saturated fat. But unless you're eating organic, it also contains large amounts of antibiotics, arsenic (oh yes, it's a government approved additive), and of course chicken leukosis cancer tumors. The National Institute of Diabetes and Digestive and Kidney Diseases (NIDDK) estimates that 30 to 50 million Americans are lactose intolerant. These are people who cannot digest lactose, the sugar found in dairy products. According to the FDA, symptoms include gas, stomach cramps, diarrhea, etc. However, many others are also allergic to dairy products (lactose intolerance is not technically an allergy), specifically the proteins found in milk. In any case, these poorly digested bovine antigens (substances that provoke an immune reaction) like casein become "allergens" in allergic individuals. Dairy products are one of the leading cause of food allergies, often revealed by diarrhea, constipation and fatigue. Many cases of asthma and sinus infections are reported to be relieved and even eliminated by cutting out dairy. The exclusion of dairy, however, must be complete to see any benefit. An 8 oz glass of milk will provide 8-9 grams of protein and 5-10 grams of fat. It has biological value of 80-90 and a net protein utilization of about 81. In addition, although its biological value is not bad at 70-80, it's net protein utilization at 61 is quite low. In fact, unless it has been fermented, soy protein contains potent enzyme inhibitors that block the action of trypsin and other enzymes needed for protein digestion. This can create significant amounts of gas, in addition to promoting pathological conditions of the pancreas, including cancer. Although it looks similar, chlorella is an entirely separate plant from spirulina and blue green algae. In fact, it belongs to an entirely different kingdom and phylum. I actually prefer chlorella to spirulina. Not only is it a great source of protein, just slightly less concentrated than spirulina, but it offers one significant advantage over spirulina. Chlorella is one of nature's great detoxifiers, binding to heavy metals and pesticides and carrying them out of the body. I use chlorella in formulas for heavy metal detoxification as it binds very strongly to heavy metals to eliminate them from the body. There is a problem, though. Again, like spirulina, about 30 percent of people cannot tolerate chlorella, so if it makes you nauseous you should definitely avoid it. Also like spirulina, chlorella is not inexpensive ($30-50 a lb). And finally, like chlorella, it has that seaweed grass taste thing going, which makes it tough for most people to eat enough of it to use as a primary protein supplement source.